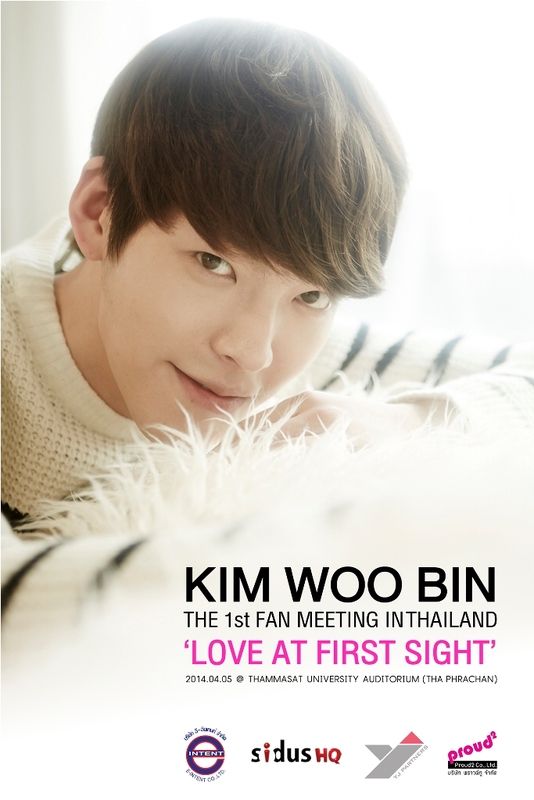 2014 KIM WOO BIN, The 1st FAN MEETING IN THAILAND ‘LOVE AT FIRST SIGHT’ Launch at the beginning of April with Exclusive “WOORIBIN” Fan Club. Reserve your pre-sale ticket before anyone this 21-23 Feb. In 2013, None of Korean Fans doesn’t know The Heirs, the most popular series of the year that contagious the Koreans to get “Kim Tan” Fever and “Young Do” Fever for the whole country. None of the Korean Fans doesn’t know the big form Movies, “Friend 2”, with overwhelm income of Won 20,000 Million. And none of the girls doesn’t know “Heung Soo & Nam Soon”; the hottest couple from teenagers’ top series “SCHOOL 2013”. Which all these successes, KIM WOO BIN was always a part of it. In 2011, few people know him. In 2012, he was still a new face to you. However, 2013 was the golden year of this 188 cm tall man. He was born beautifully in the entertainment industry. Girls from all over Asia scream and give him their hearts. In 2014, The WOORIBIN’s dreams come through. KIM WOO BIN, the Uprising Superstar of the year is ready to come to Thailand and have close meeting with his fan club. 2014 Kim Woo Bin The 1st Fan Meeting in Thailand ‘LOVE AT FIRST SIGHT’ guaranteed by the organizer expert, E-Intent Co., Ltd. and sidusHQ on April 5th 2014. Everyone will have the opportunity to sense the heat from this guy that stronger than the hot temperature of this summer. KIM WOO BIN’s popularity is like tsunami that overwhelms the girls without notice. His success is not by luck. Apart from his sharp eyes, Bad Boy’s eyebrows, his heights, and his big smiles, KIM WOO BIN is the committed superstar with fires of development. From a school boy who submitted a composition to his teacher that he wanted to be a “Supermodel”. He pursuits his dreams until recruited to Debut, the leader modeling agency. Once he found that he likes to perform, he studied and practiced performance heavily. KIM WOO BIN started from a smaller performance such as single mini series, “White Christmas” (KBS, 2011) followed with cable TV sitcom, “Vampire Idol” (MBN, 2011). Finally, his bad boy student character of “Kim Dong-Hyub from “A Gentleman’s Dignity” (SBS, 2012) was highly successful. Though it was only a join actor role, the overwhelming success of this series combined with his charming character brought him to the front row actor today. KIM WOO BIN started 2013 with the most popular series “School 2013” (KBS2, 2012-2013) and became highly popular together with “Lee Jong Suk”, his best friend in both personal life and in the series. He finished the 2013 with great success in both Series and Movies with the giant form movies, “Friend 2”, the second episode by “Kwak Kyung Taek” which made name for “Jang Dong Gun” in 2001. His role as “Choi Young Do”, a heart broken bad boy from “the Heirs”, was fully hearted loved by the Thai girls. Though he had to perform together with “Lee Minh Ho”, his aura wasn’t overshadowed. On the other hand, this strengthened his popularity far beyond. In 1 year, KIM WOO BIN received several awards from all institutes including Best New Actor from Daejeon Drama Festival, Top Ten Stars Award from SBS Drama Awards, and couple with “Park Shin-Hye” or “Cha Eun-Sang” traveled to receive Popular Foreign Actor in People’s Republic of China. 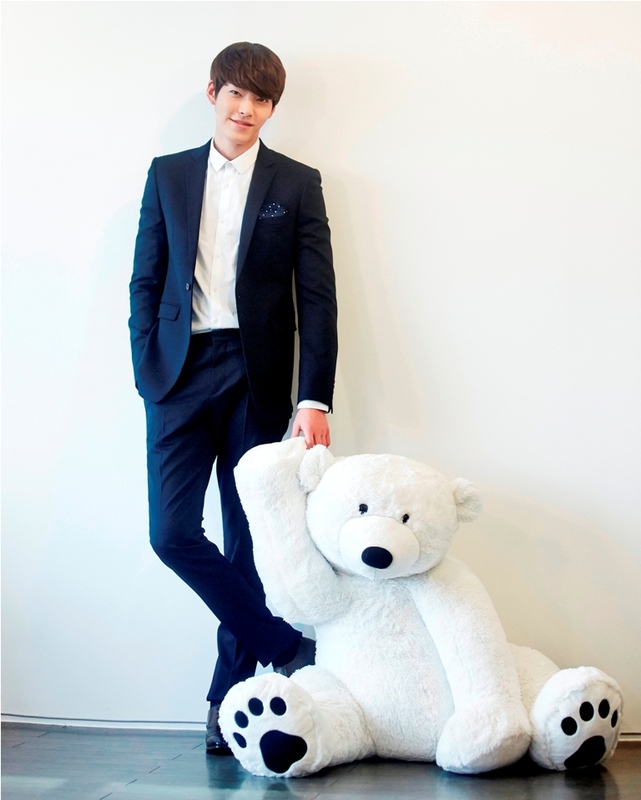 Apart from Acting, KIM WOO BIN is also the presenter, model, MC, and presents in variety shows. It was once when he joint “Lee Jong Suk” and had to cancel due to the event space wasn’t able to handle too many fan clubs. It is not boasted to say that if you go to Korea today, you cannot avoid seeing KIM WOO BIN’s photos somewhere somehow. The popularity of KIM WOO BIN hasn’t limited only in Korea. Now he becomes the top level of Asia Hallyu Star. Thailand is the other country that “WOORIBIN” are overwhelming supporting him. In order to re-pay loves from his fan club, sidusHQ, his original affiliation, will organize 2014 KIM WOO BIN the 1st Fan Meeting in Asia, right after having the Fanclub Meeting in Seoul. KIM WOO BIN travels around Asia to meet with his fans closely; started from Hong Kong, Taiwan, Shanghai, and certainly this trip must include Thailand. Prepare your healthy bodies, screaming voices, and have fun with KIM WOO BIN THE 1st FAN MEETING IN THAILAND ‘LOVE AT FIRST SIGHT’ on Saturday 5th April 2014 at 5pm onwards. The event will be organized at Thammasat University Auditorium (Tha Phrachan). Ticket Price 4,500 / 3,000 / 2,000 / 1,500 / 1,000 Baht (This is important, Every seat at every ticket price will have the opportunities to Hi-touch with KIM WOO BIN). KIM WOO BIN’s Fans, please prepare your money in advance. This event offers exclusivity pre-sale tickets for the “WOORIBIN” before anyone on 21st-23rd February at every branches of Thai Ticket Major. There is also opportunities for you to attend the KIM WOO BIN’s Press Conference; with limited 200 seats. The formal tickets selling counter is on 1st March 2014 at every branches of Thai Ticket Major; call +662 262 3456 or at www.thaiticketmajor.com . 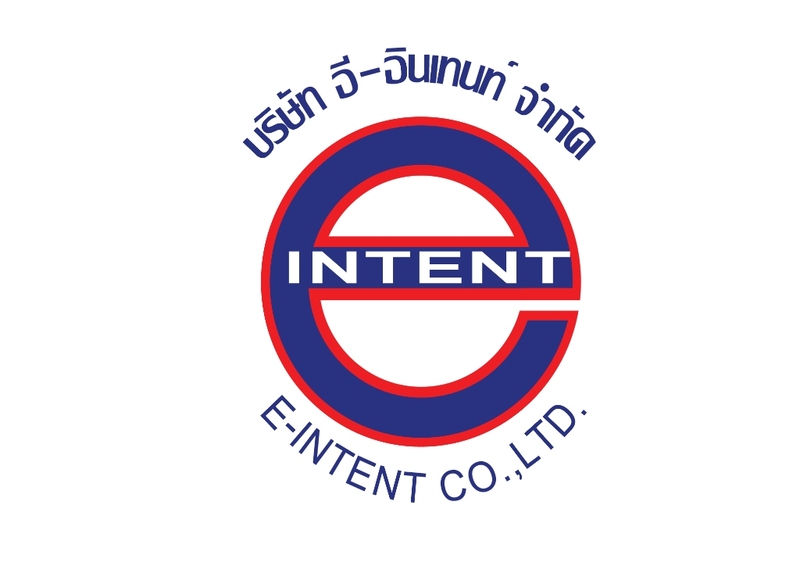 You may find more details and updates at www.facebook.com/EINTENTMEDIA. Hurry up!! Now everyone wants to get closer to and have fun with KIM WOO BIN!! !